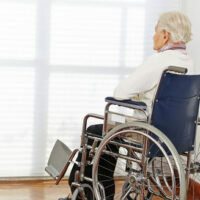 Unreported Incidents Of Nursing Home Abuse And Neglect Run Rampant In The U.S.
A disturbingly high percentage of cases involving physical abuse and sexual abuse at nursing homes are going unreported, according to the Inspector General for the Department of Health and Human Services. If that was not bad enough, the audit revealed that the Centers for Medicare & Medicaid Services had “inadequate” procedures for ensuring that nursing home abuse is properly reported. Under 42 U.S.C. 1320b–25, a federally-funded nursing facility must report any incident of abuse to law enforcement within two hours of learning about the incident when there is evidence that a resident or staff member has been seriously harmed. The Inspector General’s report found no evidence that local law enforcement was properly notified in 28 percent of abuse cases. And it is likely that this percentage is much higher because investigators could only rely on cases where a resident of a nursing home was treated at an emergency room. This means a resident who has been abused within the walls of the nursing home and treated at the nursing home is not included in this report, according to the Consumerist. CMS has had the power, since 2011, to levy fines against nursing homes who have been found to abuse their residents. In fact, CMS can levy a penalty totaling hundreds of thousands of dollars for violating federal law and failing to report an abusive incident with a resident. However, CMS has yet to exercise this authority on any nursing home facility in the six years since receiving this power. CMS claims it still requires further directives to implement an enforcement protocol. If you or a family member is being abused or neglected at a nursing home facility in Miami, it is critical that you speak to an experienced attorney right away. A lawyer can report the nursing home abuse to local law enforcement and take the necessary steps to protect your legal rights. This is important because it is quite common for facilities to “lose” abuse reports. In a nursing home abuse case, your attorney will send notice to the nursing home of your claim and give the management team at the nursing home an opportunity to respond. The nursing home may be open to settling. If not, having an experienced attorney on your side will help ensure a lawsuit is filed in a timely manner and the lawyer can handle all pre-trial matters to effectively build your claim. The Miami lawyers at the office of Alan Goldfarb, P.A. take pride in being skilled trial lawyers who are not afraid to take a case to court and present the facts to a jury. Our law firm has access to a cadre of expert medical witnesses who can testify in court and the resources to fully investigate the nursing home.